It’s literally as simple as 1, 2, 3. Dispatch assigns an email address to you that corresponds to your existing email address you normally use to receive structured emails. You then go into whatever system sends you these emails and change the email address in to your new Dispatch address (Watch the demo to see how we do this). 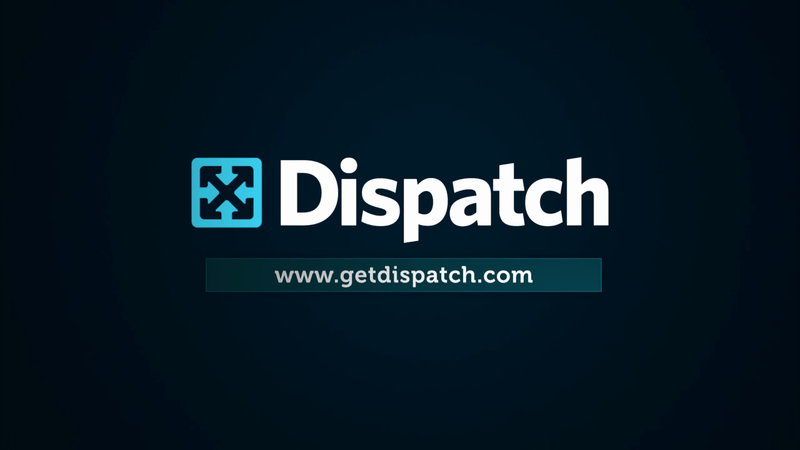 This means you still receive all the emails in your inbox just as before, so you have copies of everything, while Dispatch sits happily in the middle. Now, Dispatch can process the emails and act on them, while you can just file them away. Once you’ve replaced that email address with your Dispatch one, you then go about your life as usual for a bit, while Dispatch waits to receive a few emails from your new address to learn about how they're usually structured. Once it has, Dispatch emails you to let you know that it’s ready for you to set up your parser fields. To set Dispatch to pull information out of your emails, you’re presented with a screen that has a copy of an email that you've received. There, you can select text from the email and associate that text with parser fields. For instance, if you want to pull a customer’s name out of each new email (watch us do this in the demo), you could set up a parser field named “Name” and then select the customer’s name out of the sample email so that Dispatch can learn where to pull the customer’s name from in the future. Once you’ve set a parser field up, it will take data located in the same place in each new email that you receive and pass it into any associated Actions. Once you’ve set all of your parser fields up, you move on to creating Actions for that email type. Actions are the processes that Dispatch can perform with information that is parsed out of your emails. For each Action, you can even set up Conditions so that the Action is only carried out when the value of a given Parser Field matches certain criteria. This gives you the ability to only run an Action on specific emails. At Sense Labs, we use Dispatch to send an informational email only to Are My Sites Up White Label Custom customers because they need a bit more setup to customize their service, so we set up a Parser Field that grabs the plan name out of the new signup email that we get from Chargify, our payment processing service, and a Condition that only kicks off the Email Action if the plan name contains “Custom”. Watch a video demonstration to see how we use Dispatch with email every single day. Dispatch gives you an address for each webhook that you'd like to send to Dispatch. You then go into whatever system sends you these webhooks and add your new Dispatch address (Watch the demo to see how we do this). Once you’ve added your Dispatch webhook address, you can either immediately perform an action that will send the webhook you'd like to process to Dispatch, or wait while Dispatch waits to receive a webhook to learn about how they're usually structured. Once it has, Dispatch emails you to let you know that it’s ready for you to set up your parser fields. To set Dispatch up to pull information out of your webhooks, you’re presented with a screen that has all of the keys that we've seen from that webhook, as well as some sample values from them, so you can see what kind of content they usually contain. There, you can select keys from the webhook and associate them with parser fields. For instance, if you want to get an email each time a customer cancels their account (watch us do this in the demo), you could set up a parser field named “Customer ID” and then select the customer’s ID from the webhook so that Dispatch can learn where to pull the customer’s ID from in the future. Once you’ve set a parser field up, it will take data located in the same place in each new webhook that you receive and pass it into any associated Actions. Once you’ve set all of your parser fields up, you move on to creating Actions for that webhook. Actions are the processes that Dispatch can perform with information that is parsed out of your webhooks. For each Action, you can even set up Conditions so that the Action is only carried out when the value of a given Parser Field matches certain criteria. This gives you the ability to only run an Action on specific webhooks. At Sense Labs, we use Dispatch to send an email to us any time that a user cancels a subscription in our Stripe account, so we can follow up with them. Watch a video demonstration to see how we use Dispatch with webhooks every single day. This list will expand as we continue to build Dispatch. Have an idea for an Action? We’d love to hear from you.